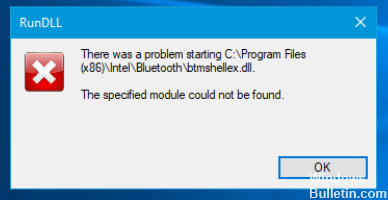 There was a problem starting C:\Program Files (x86)\Intel\Bluetooth\btmshellex.dll. The specified module could not be found. The driver file btmshellex.dll is associated with networked devices. So a number of devices connecting at the same time using one device can result to inconsistencies. Don’t worry, here are ways to fix this problem. If your Bluetooth device not working properly, this driver may have been damaged by an update. You need to re-register this driver using a couple of commands. First, run Command Prompt with elevated privilege. After this, enter regsvr32 btmshellex.dll on the prompt. Restart your computer. You should be able to use your Bluetooth like before when you log back in. You should reinstall drivers every after Windows 10 installation. Otherwise, you will not be able to use it or you might receive an error related to this. But if you still are having this message after the driver installation, check for updates, whether any is pending or available. Go to the Device Manager by pressing Windows+X. Scroll down to locate the Bluetooth device, then right-click on it and select Update driver. You will see a popup window, click on Search automatically for updated driver software. It will take some time to verify the availability of an update and to install it. Just let it finish, then restart your computer. 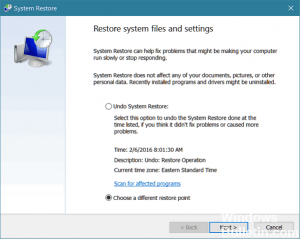 You may also roll back to previous settings when your Bluetooth is working fine by choosing a restore point in System Restore. Otherwise, if the error persists, run sfc /scannow to check your system. If all things went well, you will be able to use your device without problems, otherwise, if you are still seeing the “This Device cannot start (Code 10) STATUS_DEVICE_POWER_FAILURE” error, comment here so we can find solutions to the error together.